Hastings House publications. Serie of seven books published by Hastings House in the 50's. Reading books. Text adaptation by Max Trell with illustrations from Foster. There are also special library editions. Valuable books, around USD 40 each. 1: Prince Valiant in the Days of King Arthur, 1951 (PV #1-103). 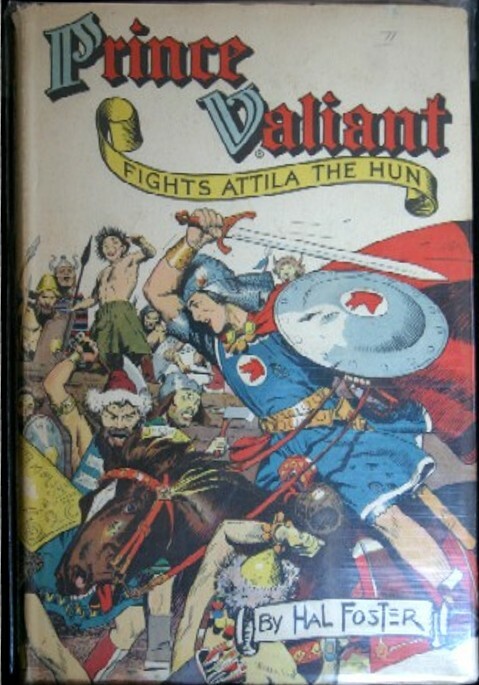 2: Prince Valiant Fights Atilla the Hun, ca 1952 (PV #103-169). 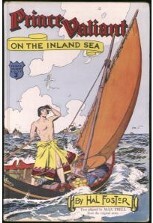 3: Prince Valiant on the Inland Sea, H.H. ca. 1953 (PV #169-251). 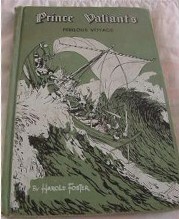 4: Prince Valiant's Perilous Voyage, H.H. ca. 1954 (PV #251-350). 5: Prince Valiant and the Golden Princess, H.H. ca. 1955 (PV #350-434 (incomplete), adaptation by James Flowers). 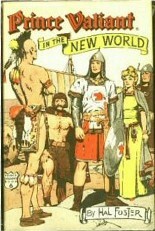 6: Prince Valiant in the New World, H.H. ca. 1956 (PV #467-70,508-593). 7: Prince Valiant and the Three Challengers, H.H. ca. 1957 (PV #593-683). Hastings House also published "The Medieval Castle" in 1957. This is a very rare book, value around 100 USD in good condition.